Central New York Optometrist P.L.L.C. provides the state of the art technology and resources to help improve and strengthen your eye health and vision. One of the eye disease management tools we offer is optomap®. This is an important component of every eye exam we do because it creates an image of your eye that’s detailed. With it, Dr. Ralph Lamberto gains access to a high-resolution, 200-degree image of your eye. This allows for proper understanding of your eye health. Traditionally, only a 45-degree image is available to your optometrist. This limits just how much information your optometrist has to understand your eye health. With optomap, that’s changed. This provides a much more thorough view. Often, eye problems develop so slowly or in a discrete manner that even you do not notice. 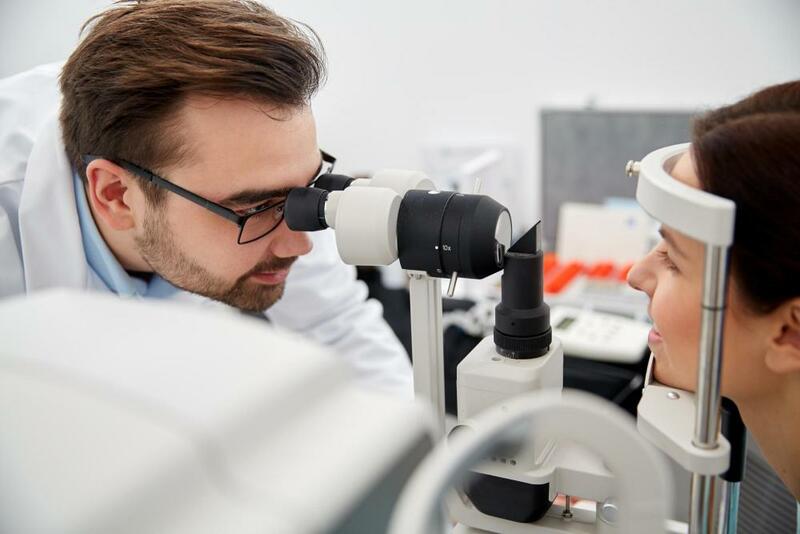 Conditions such as macular degeneration, glaucoma, retinal tears or detachment, and other health problems can lead to long-lasting damage to your eyes. If you have high blood pressure or diabetes, you are at a higher risk of developing these complications. You need more thorough eye exams as a result. We can do this with optomap because it provides more information for your eye doctor to use. Create a scan to show the health of your eye or detection of disease. Provide a view of the retina, allowing your optometrist to provide a more comprehensive examination not possible through other methods. Create a starting point that we can then use over and over again to detect any changes in your eye structure or eye health development. As a key component of eye disease management, optomap allows our team to talk to you about your eye health at length. We let you see this image and provide you with insight into what’s really happening. When you visit your Utica optometrist, this scan will likely be a component of the process. Remember, our goal is to monitor your eye health now, while it is good so that we can prevent the onset of disease. Not doing so could mean a higher risk of vision limitations later. This is a fast, easy, and comfortable process. All you have to do is to look into the device one eye at a time. To learn more, schedule an appointment with your eye doctor in New Hartford. We’re here to answer your questions. Call: (315) 735-7590.